ChildAges 5 to 15 yrs. Children under 5 ride Free. 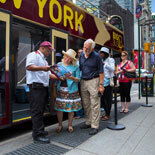 The Big Bus New York Premium Package is the best way to discover all that New York has to offer. You can explore New York's famous landmarks; from Times Square to the Empire State Building and the world famous Statue of Liberty. 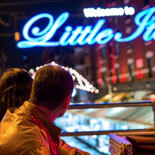 Includes 2 days hop-on/hop-off at 29 stops, the Night Tour, the Brooklyn tour and a one hour sightseeing cruise! 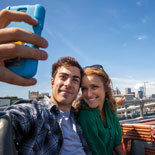 The Big Bus New York Premium Package offers a sightseeing tour of New York City on an open-top double-decker bus. 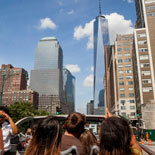 Enjoy 2 days of sightseeing and learn all about NYC, it's history and famous landmarks. An entertaining LIVE commentary is provided in English, as well as recorded commentary in 9 languages. The Big Bus New York Premium Package consists of 4 tour loops: The Uptown Loop, the Downtown Loop, the Brooklyn Tour and the Night Tour. You may hop-on and hop-off at any of the 29 Big Bus stops to visit New York's top attractions and places of interest like Central Park, Rockefeller Center, Times Square or The Met, just to name a few. On the Downtown Loop, you can explore New York's famous landmarks, from Times Square to the Empire State Building and the world famous Statue of Liberty. On the Uptown Loop you can explore Central Park, Museum Mile and cultural borough of Harlem with the famous Apollo Theatre. Experience the city that never sleeps while on board the Big Bus Night Tour and be entertained by one of the live and entertaining Big Bus tour guides (in English only). There is currently no recorded commentary on this tour. Enjoy Manhattan's skyline beautifully lit up with lights, plus the stunning illumination of the famous New York attractions like Radio City Music Hall, Times Square, 5th Avenue and the Empire State Building. The tour makes its way across the Manhattan Bridge where you will see the breath-taking Manhattan skyline from the Brooklyn waterfront. 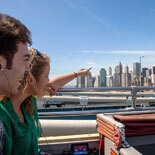 Enjoy a 1 hour sightseeing cruise with Circle Line Sightseeing Cruises and get 100 feet from Liberty Island. This cruise provides an in-depth tour of the waterways surrounding lower Manhattan including views of New York's iconic cityscape, Brooklyn Bridge and The Statue of Liberty. See the best of NYC! 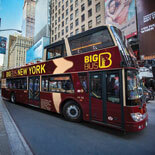 Get your eTickets now for the Big Bus New York Premium Package. 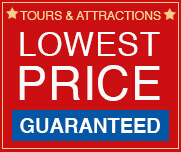 Tours operate daily. The Downtown Loop is between 8am and 6pm and the Uptown Loop is between 9am and 6pm. Frequency on the Downtown loop is every 10 to 15 minutes, on the Uptown Loop it is every 15 to 20 minutes. Times are subject to change. Night Tour departs: Nov-Mar: 6pm- 8pm every 30 minutes. Apr- Oct:7pm-9pm every 30 minutes. Cruise schedule- Cruises depart every 30 minutes. Nov- Apr-start time 10am with last departure 4pm. May-Oct-start time 9:30am with last departure 5pm. 7th Ave & 48th St.
Child Ticket: Ages 5 to 15 yrs. Children under 5 ride Free. Reservations are not required. Most of the buses are wheelchair accessible. Please inform Customer Service when purchasing eTickets. Discounts are available for groups. 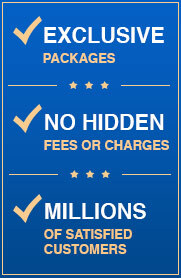 Please call 305-304-7541 for more information.